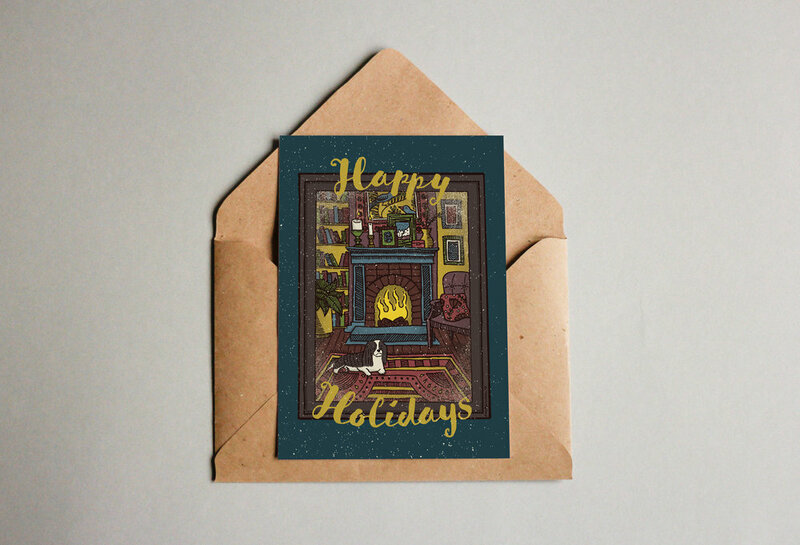 This client is a local, Portland realtor that wanted a holiday card. She absolutely loves her King Charles Cavalier, so she wanted a cozy, festive window scene that featured one. She also wanted it to be relatable to a diverse range of people, so not stereotypically “Christmas-y”. First, I drew the design out by hand. Second, I scanned it in. Third, I digitally colored it in Photoshop. The result is a warm and welcoming scene that the client was incredibly satisfied with.